Liberal health critic Andrew Parsons says he was disturbed to find he was among the victims of a massive privacy breach at Western Health. 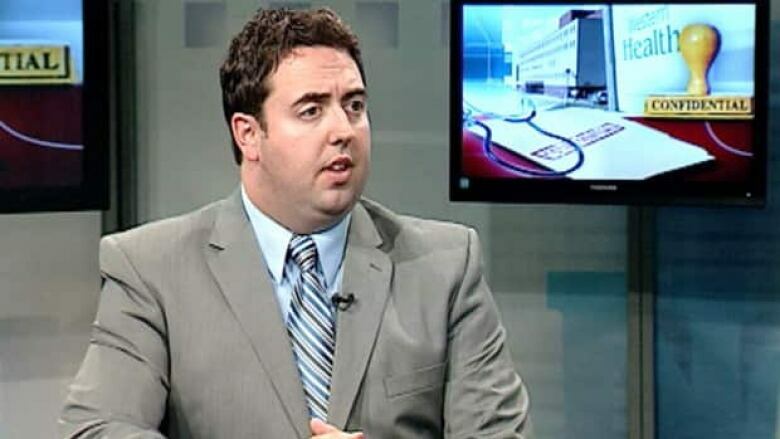 The Liberal Party's health critic in Newfoundland and Labrador says he was disturbed to learn he was among the victims of a massive privacy breach at Western Health. "It's a bit of a shock, actually, because I've been talking about it, and then to find out that you're one of these people is unnerving," Andrew Parsons told Here & Now Tuesday. "It's the only word I can come up with to describe it." Parsons learned last week that he was among 1,043 patients whose files were inappropriately accessed by a single employee, who has since been fired. The MHA for Burgeo-Lapoile said he has been told little about the breach against him, other than it happened in January. Among other things, Parsons does not know whether or not his public profile may be a reason why his confidential files were accessed. "It's hard not to think that way sometimes," he said. "Was it to be used against you? Was it a person being nosy? I just don't know." Parsons said several of his family members also learned their records had been breached. As well, he said he's unnerved because he does not know the extent of the breach, or how much of his personal information was seen. Parsons said he has no plans to join a class-action lawsuit that is being organized against the authority, although he said others have every right to explore their options. Nor does he blame the chief executives at Western Health, noting there have been systemic problems at all four authorities in the province. "My main concern here is that the department and the minister take control and make sure that steps are being taken that this doesn't happen again," he said. "This [particular breach] wasn't caught because of their audit process or their technology," he said. "This was caught because of an anonymous tip. So the system failed here, and we need to make sure the system works."